Anyone traveling with children knows all too well about the struggle of packing a day bag. Do you try to pack light and end up needing the one thing you didn’t bring? Or, do you over pack and just deal with lugging around a heavy bag all day? Having taken multiple trips to Disney with two toddlers, I have learned what items are a must have in my day bag. 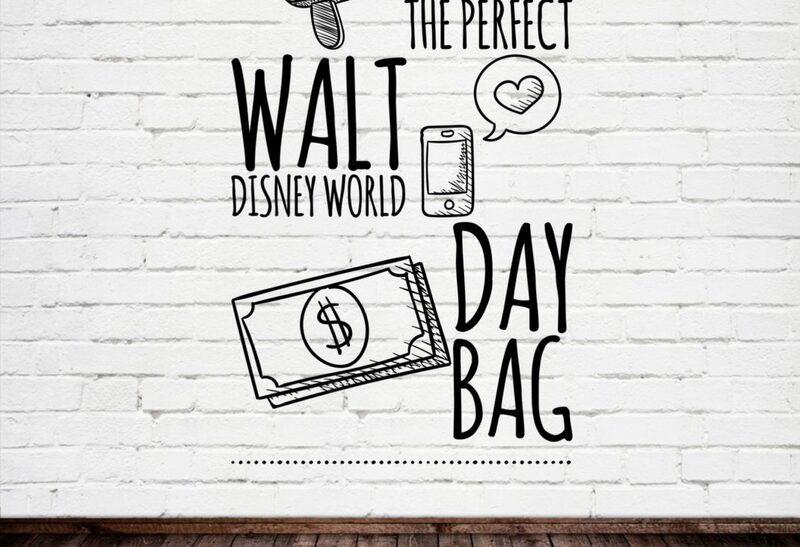 I personally use a medium sized backpack while visiting the Disney parks. Sun screen & lip balm– Sun burn can sneak up on you while you are walking around a Disney park all day. Pack a small travel sized sun screen and lip balm to keep you sun burn free! Small wallet– If you are staying on Disney property you will have a MagicBand with charging privileges linked to it. But for places that can’t charge via MagicBand or if you want to enjoy an alcoholic beverage, bring your ID, some cash, and a credit card. No need to bring your whole wallet with your store loyalty cards or gift cards. Cell phone, charger, and/or portable battery charger- Lets face it, we use our phones for everything now a days. You will be taking numerous photos and videos, posting them on Instagram or Facebook. The last thing you want is for your phone to die and miss capturing precious moments. Medicine/first aid- Besides prescriptions, I carry Tylenol, bandaids, and Tums. Just travel sizes, no need to pack a whole bottle or box. There are first aid locations in all of the Disney parks if you need any of these items. Hand sanitizer/travel size wipes- These things are great to have if the kids (or you) get a little messy eating a Mickey ice cream bar, or you need to clean off a table. Change of clothes- Being in a park all day with kids usually turns into someone spilling something on themselves. Bringing extra clothes is easier than having to buy a new outfit or heading back to the hotel. If you visit Disney in the warmer months, tanks and shorts don’t take up that much room. Water and snacks- Everyone in my family has an insulated water bottle that we bring into the parks. I also bring snacks for the kids and adults to munch on in between meals. Having snacks readily available saves time so you’re able to get more done. The biggest thing is to stay hydrated throughout the day. Ziplock gallon or quart size bags- These are great if you plan on going on a water ride to put your electronics in or if you need to put soiled clothes in your bag. Autograph book and pen- If you have little kids this is a must! You never know when you will see a character meet and greet with a short line (if you don’t have a FastPass). These are also great to have if you are doing character dining. 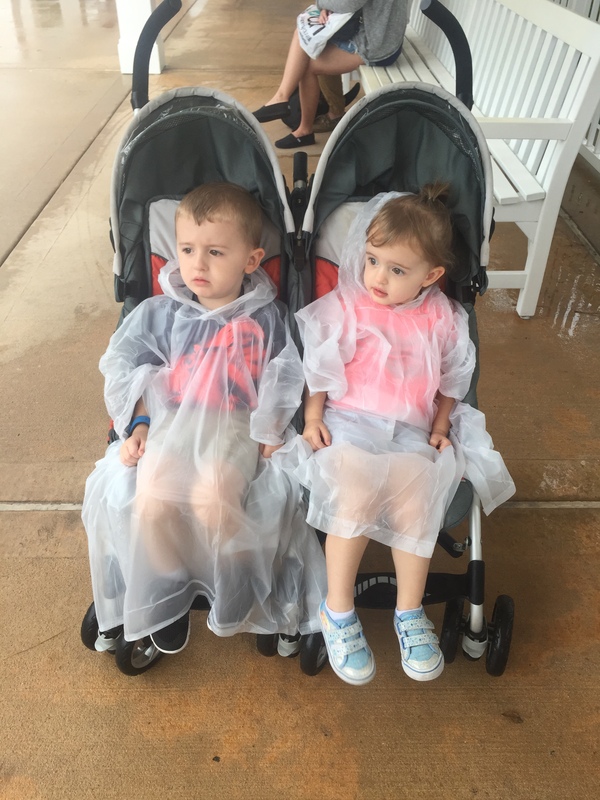 Poncho or umbrella– The weather is unpredictable in Florida so be prepared for a middle of the day downpour with a poncho or umbrella. Games/activities- Waiting can be difficult for little ones. I like to bring someone new for the kids to keep them occupied while waiting in line or at a restaurant. Melissa and Doug make great travel sized activities to keep kids entertained. 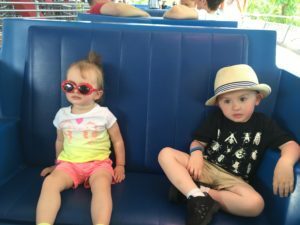 Sunglasses and/or hat- The sun can be brutal in Walt Disney World. Make sure to pack sunglasses or a hat. If you forget one of these things, there are plenty of shops that sell them. New Magical Offers For Walt Disney World Resort!